Last week, Microsoft held a media event to showcase their upcoming Spring games to press. Xbox head Phil Spencer had previously noted that this was merely an event to allow the gaming media to get to grips with the company’s upcoming games, and stressed that fans shouldn’t expect any massive announcements. Nonetheless, some interesting news has filtered out this week, after the short press embargo expired on Tuesday. A big focus of the preview event was the upcoming Quantum Break, out on Xbox One and Windows 10 on April 5th, while Dark Souls 3, Capybara’s top-down adventure Below and a handful of other titles were also available to try out. But there was still plenty of room for the odd new announcement. Read on to get all the news delivered direct to your eyeballs. We’ve known for a while that Gears of War Ultimate Edition, The Coalition’s through rebuilding of the 2006 cover shooter, was coming to the Windows Store at some point. We just didn’t have a definitive date. Rather surprisingly, as the embargo lifted on Tuesday afternoon, the game also became immediately available to download, and for the very reasonable sum of £22.79, at that. Of course, some will remain sceptical of Microsoft’s ambitions when it comes to PC gaming, having had their fingers burnt with the company’s previous attempt, Games for Windows Live. And while Gears of War Ultimate Edition offers a range of graphics options, including support for resolutions up to 4k, limitations in the Universal Windows Platform mean that things like GSYNC, multi-GPU support, modding or even Fraps won’t work. Microsoft also announced Forza Motorsport 6: Apex, a free version of last September’s Xbox One racer for Windows 10 PC. A slimmed-down take on the original, Apex will see release this Spring and take advantage of DirectX 12 and offer rendering resolutions up to 4k. 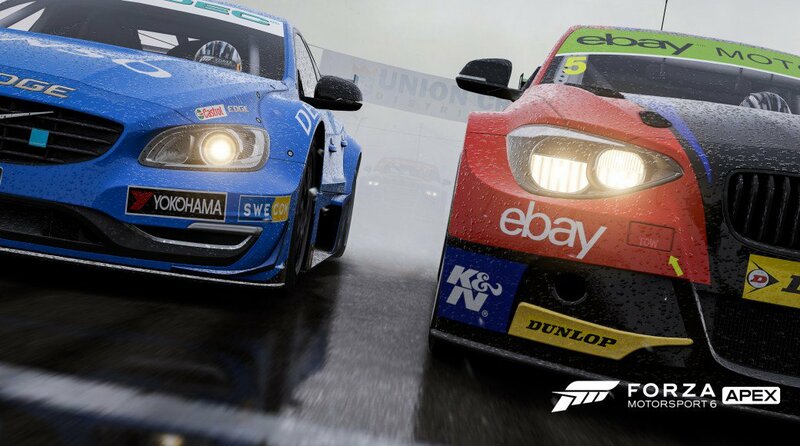 While it doesn’t have the breadth of content of Forza 6 on the console, it offers 20 tracks across six different locations, with a total of 63 cars to race across them, though these have not been fully detailed yet. Although the game is free to users, Microsoft have confirmed that Apex won’t be driven by microtransactions, and that you will be able to unlock new cars, tracks and events simply by playing. So why is it free? Well, the publisher also announced, via IGN, that all future Forza titles will also see release on Windows PC. Apex will, then, act as a taster to get a PC-gaming audience interested in the series as it looks to establish itself on the platform. One of our favourite games of last year is finally getting a definitive edition. Originally announced at Gamescom last year, Ori and the Blind Forest: Definitive Edition brings a sizeable new play area called Black Root Burrows, which expands on the past of Ori’s mother figure, Naru, as well as a couple of new abilities for Ori to wield throughout the game. To this end, the entire game has been rebalanced to a degree, to make the new moves usable across the entire game world. Moon Studios have also added a few more difficulty modes – easy, hard, and ‘one life’ – as well as greatly expanded the existing game’s theatre mode, weaving in plenty of behind the scenes material. Ori and the Blind Forest: Definitive Edition will launch on Xbox One, Windows 10 and Steam on March 11th, and there will be an upgrade path for existing owners. Another one we’ve known about, but simply been awaiting a release date for, is Season 3 of Microsoft’s fighting game, Killer Instinct. On March 29th, the game finally hits PC, on the same day Season 3 launches on Xbox One. 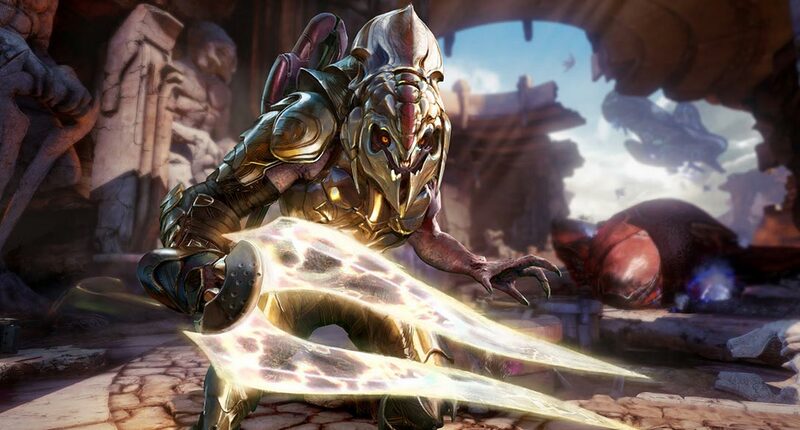 Season 3 will bring eight new fighters to Killer Instinct, with four available at launch – Killer Instinct 2 veterans Kim Wu and Tusk return, while Rash from Battletoads and Halo‘s Arbiter make their series debuts. Pricing has yet to be confirmed, but considering that previous seasons were around the £16 mark, it seems a safe bet to assume a similar price point. Additionally, if you’ve already bought the game on Xbox One, you’ll also get all your content (and progress!) at no extra cost on PC. The game will remain free to play (with one rotating character) on Windows 10, so if you’ve wanted to try the game out, you’ll get your chance in just a few weeks’ time. Originally announced back at E3 2014, many assumed that Microsoft’s reboot of the cult original Xbox action/strategy/card-combat game was dead after the small independent team developing it were forced to close their doors last February (as reported by Kotaku). Since then, Microsoft have been fairly quiet on the subject, with the last piece of news coming from Xbox head of Marketing Aaron Greenberg, who said that the game wasn’t currently in active development. Microsoft have been doing a great job of updating the Xbox One dashboard and OS, and that continues this month. The new update, out now, brings achievements back to the guide, boosts party chat from 12 to 16 users, adds options for GameDVR “Xbox, record that” clip length, and, perhaps most importantly, makes backward compatible Xbox 360 games directly available from the Xbox One store. Previously, if a user wished to buy a digital copy of a backward compatible title, they would have to either do so on the Xbox website or an Xbox 360, and many have wondered if the inability to easily buy 360 games on the XBO has led to publishers holding back some of their bigger games for the backward compatibility scheme. Hopefully we’ll now see the games that sit at the top of the uservoice voting page, like Red Dead Redemption, Skyrim and Call of Duty: Black Ops, begin to filter through. See the full feature set of the Xbox One March update below. 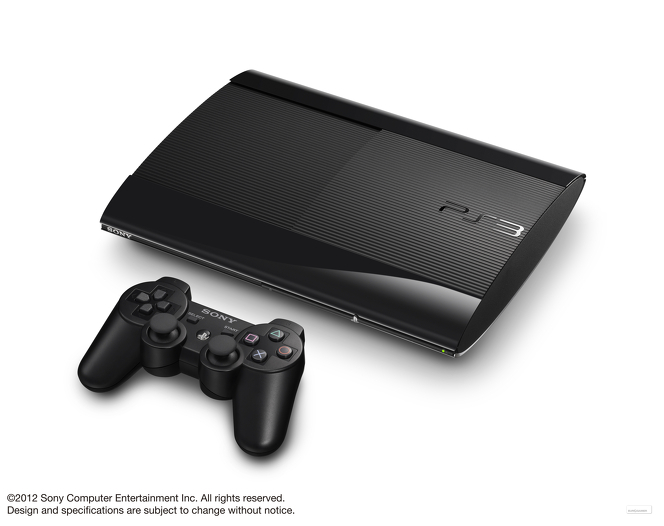 Sony used its TGS conference to unveil the latest revision of their Playstation 3 hardware – one of the industry’s worst-kept secrets thanks to a series of leaks over the last few months. The new machine carries half the weight of the original fatboy model, and is 25% smaller and 20% lighter than the current slim model. It also has a rather cheap-looking sliding disc cover. The console will arrive in the UK in October in two flavours: a 12GB flash memory version. and a model with a 500GB hard drive. A 250GB hard drive add-on will also go on sale. Prices are so far only given in Euros – €229.99 for the 12GB, €299.99 for the 500GB, which will come bundled with a game. High definition remasters are everywhere these days, and two of the most promising conversions on the horizon will arrive this Hallowe’en. Konami’s Zone of the Enders HD Collection, comprising PS2 games Zone of the Enders and ZoE: The 2nd Runner will release on the 30th of October for PS3 and Xbox 360. In a humourous nod to the past, Hideo Kojima’s mech combat compilation will come with a demo of Metal Gear Rising: Revengeance, mimicking the free Zone of the Enders that came with a demo of MGS2. Or was it the other way around..? The following day will see the release of Capcom’s HD remake of the much-loved Okami on PSN. The remaster will support PS Move, 1080p resolution and comes complete with trophies, and you can expect to pay £15.99 for the pleasure. You can see the latest TGS trailer below. When pressed for more, Toyama only replied, “It’s a secret.”. Ok, so it’s very far from confirmation, but hopefully we will be seeing that sequel at some point – as I’ve mentioned before, Gravity Rush is one of my favourite games so far this year, and it certainly left some unresolved story threads for a sequel to tie up. Japan Studio are currently working on Vita 3rd person action game Soul Sacrifice with ex-Capcom man Keiji Inafune, so maybe we’ll hear more once the spine-ripping adventure launches. Square-Enix has unveiled Kingdom Hearts 1.5 Remix for PS3, a compilation of Kingdom Hearts Final Mix, Kingdom Hearts -Re: Chain of Memories and Kingdom Hearts 358/2 Days. Bizarrely, according to speculation, the collection will apparently contain only the cutscenes from DS title 358/2 Days, rather than being a full playable game. I’m sure this will be clarified when more details are available. I’ve never played a Kingdom Hearts game (though I have watched friends play a couple), so this may be a good introduction to the series if it makes it outside of Japan. After the Vita’s virtual no-show at E3, many commentators all but wrote off the handheld’s chances of mass market adoption – after all, if Sony won’t even get behind their own platform, they argued, how could anyone expect third-party developers to do so? While I didn’t buy in to this hyperbole, Sony’s seeming lack of conviction certainly concerned me. And so all eyes were on Cologne’s Gamescom. Would Sony repeat their E3 mistake? The good news is that Sony did indeed give the still-fledgling platform a bit of a boost by featuring it at the very start of their 90 minutes, and actually showing some games for the device, while also finally (finally!) giving a date for PS1 Classics being playable on the handheld. Let’s take a look at the big announcements, beginning with the one that will bring PS1 games to your Vita screens. A big new feature is what Sony are referring to as Cross-Controller. This will allow the Vita to be used as a controller for PS3 in certain, compatible games, such as LittleBigPlanet 2, via Remote Play. Cross-Controller will be able to make use of all of the Vita’s features (front and rear touch, sixaxis motion, cameras), and seems to be Sony’s answer to Nintendo’s dual-screen challenge with the WiiU. How widespread Cross-Controller becomes will ultimately be down to two factors: the number of Vitas out there in customers’ hands, and the effort on the part of game developers to include it. If you’re tired of using touch (and touch only) to navigate Vita’s menus and home screens, you’ll be pleased to know that one of the usability tweaks in Firmware 1.80 will allow you to control them with those lovely sticks and buttons. Touch-only navigation did mildly irritate me at first, but I’m used to it now, so it remains to be seen how much this feature will be used on my Vita. It’s nice to have the option, though. The rear touchpad will soon be able to zoom and scroll in the browser, and though I don’t use my Vita for browsing, I’m sure this will be a welcome addition for those that do. This is one of a handful of smaller usability changes, such as the ability to import music playlists and attach images in group messaging. We’ve known a Call of Duty title was on its way to the Vita since before the machine itself was released, but thus far we hadn’t seen anything of it. It appears there’s a reason for that. It looks at first glance like a fairly basic, watered-down CoD, but something else was bugging me. Then I realised what it was: it looks like Resistance: Burning Skies. And there’s a reason for that – Nihilistic Software, the people behind that game, are now making this one. Now, this isn’t necessarily a bad thing in isolation – as much as R:BS was critically panned, I quite enjoyed it for bringing a decent FPS with excellent controls to a handheld. But this really does strike me as more of the same, just with military types replacing the Chimera, and I really don’t want to play essentially the same game again. Killzone is another big IP we’ve known to be making its way to our handhelds, and we finally have an all-too brief look at this new title in Dutch developer Guerrilla Games’ shooter franchise. It’s a shame that most of the trailer is taken up by slightly hokey live-action footage, but what little we see of the game looks promising. While obviously not on par with its bigger PS3 brothers, the gameplay footage shows a pretty high level of environmental detail and smooth animation. I’d suspect the main reason behind the polished look of Killzone: Mercenary is down to that logo you see throughout the trailer: Guerrilla Games. Vita has come in for some (not entirely undeserved) criticism for seemingly playing host to cut-down installments of PS3 franchises (though Sony Bend did an admirable job with Uncharted: Golden Abyss), but this new entry into the Killzone series is being developed by the creators behind the other four installments in the franchise. I think this is a massive positive, as it allows the franchise to stay in-house and easily use existing technology – this handheld installment is reportedly built on the same engine that powers Killzone 3. The premise of the game seems to revolve around a team of mercenaries on a mission to liberate a Vektan child from Helghan hands, and the trailer makes a few references to money, even showing kills earning the player cash. This does worry me ever so slightly; I’m hoping for Killzone: Mercenary to be a story-focussed affair rather than a mission-based score-attack game. Hopefully these fears will prove unfounded when we discover more about the game. Media Molecule were also on-hand at Gamescom to show what they’ve been working on. We’ve known for a while that the LittleBigPlanet developer isn’t behind the forthcoming Vita iteration of the series (another example of ‘Vita B-team port syndrome’? ), and now we know why; they’ve been working on an entirely new Vita game, Tearaway. Tearway is a papercraft 3d adventure starring iota, a messenger with an envelope for a head. An envelope that contains a unique message for the player, and Media Molecule characterise Tearaway as a buddy movie starring you and iota. The game uses all of the Vita’s tricks to effect change on its papercraft world, from touch and sound through to motion, and you can use the rear touchpad to literally rip through the fabric of the world to directly affect both the world and iota’s journey. It certainly looks the part, with a style similar to the LBP series, but with a papery twist, and it appears to make good use of the Vita’s hardware in ways that don’t look like gimmicks. I’ve never been the biggest fan of LittleBigPlanet (I think I’m just too impatient to put in the work necessary to create something decent), but I’m really looking forward to this. These are the kinds of games the Vita needs to play host to – something a bit different, something that takes the hardware into account, and something that can only be found on Vita. I think it’s fair to say things are looking up somewhat for the Vita. Sony seem to be paying attention to it and some big-name titles are on the way, along with something new from Media Molecule. Sony still have an uphill battle in front of them, and there are still many unanswered questions (where the hell is Final Fantasy X HD!? ), but today, I am a somewhat calmer Vita owner than I was after E3. Halo: Forward Unto Dawn blowout! A new, extended trailer has appeared online for Halo 4 companion piece Forward Unto Dawn. It depicts young UNSC cadet Thomas Lasky and his first encounter with the Master Chief. This encounter inspires him to eventually become a leader aboard the Infinity, the massive UNSC ship seen descending through the clouds in Halo 4‘s E3 demo. The webseries, which will run in the five weeks leading up to the game’s November 6th release, is also said to depict the origins of the Human-Covenant war, and stars Daniel Cudmore (X-Men 2/The Last Stand‘s Colossus) as Master Chief and The Chronicles of Narnia‘s Anna Popplewell as Cadet Silva. It looks very well-realised, and makes me wish someone would consider a full-fledged TV series in the vein of Battlestar Galactica’s reboot. See the full-length trailer below. There’s also a new behind-the-scenes video courtesy of IGN, which you can also see below. I can’t wait for Forward Unto Dawn to get started, and as a huge Halo fan, I can only hope someone sees the potential in this extended foray into live-action. Perhaps we’ll see that Halo film someday after all. Playstation Plus to offer cross-platfom discounts? A survey, spotted by Digital Spy, has alluded to cross-platform discounts for Playstation Plus subscribers. Respondents were asked how willing they would be to download a Vita version of a digital PS3 title if it were made available at a discount. The level of discount was offered in increments from £5 off all the way up to 100%, making Vita versions free downloads. The survey also asked if respondents would be tempted to buy digital games rather than retail if they were £5 cheaper. Speaking to The Telegraph, Nintendo CEO Satoru Iwata admitted that the company considered dropping the GamePad’s screen late in development. Thatgamecompany, the indie studio behind PSN gems flOw, Flower and Journey has raised $5.5 million dollars in venture capital after completing their three-game contract with Sony. Catch-up News: The week in gaming. Sega have announced, via the humble art of the blog post, that “99.9%” of Jet Set Radio‘s original soundtracks will be brought back for the forthcoming HD re-release. Only two songs from across the Japanese, European and US soundtracks didn’t make it – Deavid Soul’s ‘Yappie Feet’ and ‘Many Styles’ by O.B. One. Namco-Bandai has announced that Ni No Kuni: Wrath of the White Witch will launch in Europe on 25th January 2013. The Level 5/Studio Ghibli-developed jRPG is currently being localised, with the dialogue being re-dubbed in English, and subtitles added for French, German, Spanish and Italian. However, the game will also include the original Japanese voicework, playable with English subtitles. It’s been a long time coming, but, as I found out at last week’s MCM Expo, Ni No Kuni will be well worth the wait. Crystal Dynamics’ Tomb Raider reboot will be released on March 5 2013, a new trailer has revealed. The brutal trailer, which you can see below, shows a young Lara Croft struggling to stay alive, fending off attacks by humans and animals alike, as well as using a bow and arrow to hunt a deer for it’s meat. The trailer is interspersed with footage of plenty of massive set-pieces, and, dare I say it, seems a little reminiscent of Uncharted in places (ironic, no?). With that said, it also looks far darker than any of Drake’s (or indeed Lara’s) adventures to date. A remastered and expanded version of Doom 3, dubbed the BFG Edition, has been announced for PC, PS3 and Xbox 360 by iD Software. This new version features remastered graphics, 5.1 surround sound, and support for 3D and head mounted displays. Also included are the original Doom, Doom 2, the Resurrection of Evil expansion pack and the never-before-seen Lost Mission, a separate story set across seven new levels. Best of all? The game now features an armour-mounted flashlight so you can finally see and shoot at the same time!